Ahem, not really a Fall colour I know, but I was really tempted to paint my nails this springy peach shade... 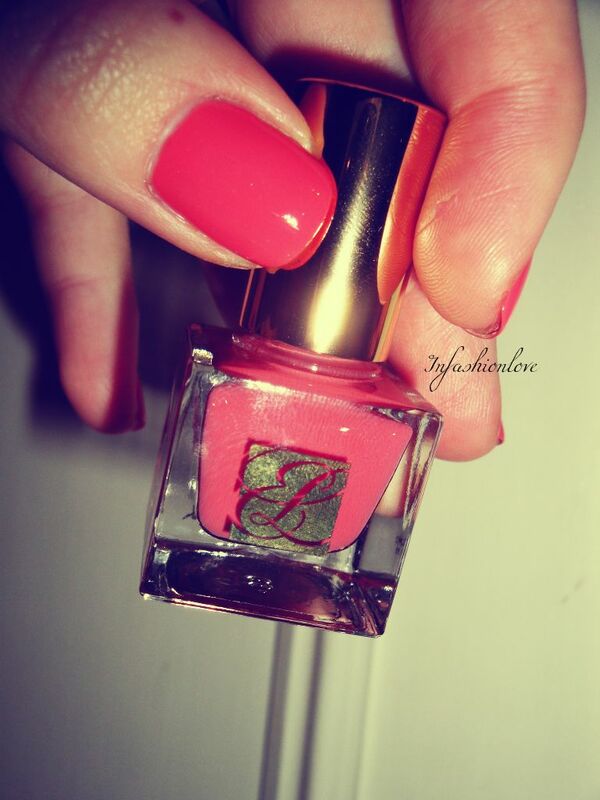 Tempting Melon is from that Estee Lauder Travel Exclusive Pure Color Nail Lacquer Collection I have featured last week, click here to see the entire collection... It is a very cute colour, and actually you can still manage to get away with it right now, I guess the sun shine helps! Anyways, it's a pretty adorable colour, not bright but rather sumptuously elegant shade of peach with a cream finish... Somehow I ended up wearing it longer than expected, and I can tell you it wears beautifully, no chips in three days, which for me is super lasting!